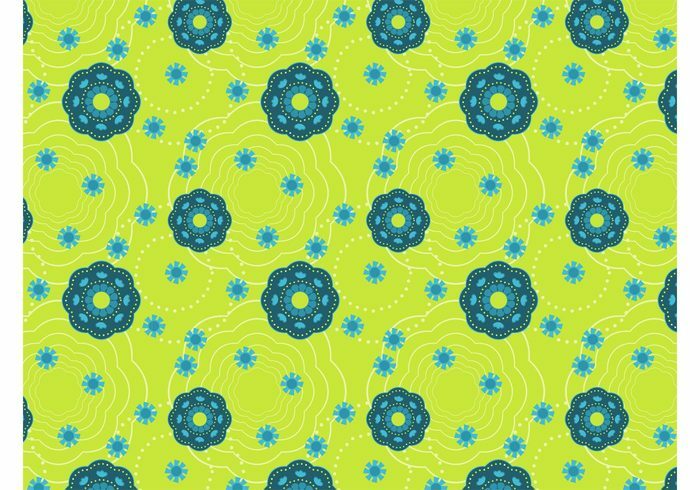 Vector graphics of a seamless pattern with flowers. Bright color composition with big detailed flowers, smaller blossoms, floral outlines with different sizes and small dots. Free vector pattern to create wallpapers, backgrounds, backdrop images, posters, flyers and clothing prints.